Can yoga classes in a public park be taxed? 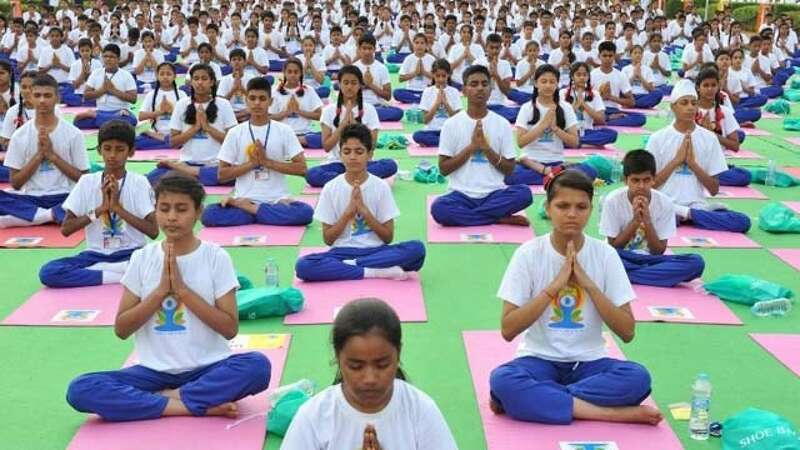 Can yoga and aerobics classes, if conducted in an open space, be taxed? A citizens' group from Mumbai has approached the Bombay High Court seeking the answer. The petition by the Malabar Hill Citizens' Group stems from a 2015 government order under the Central Excise Act, asking it to pay up Rs 4 lakh for holding fitness sessions in the city. The forum operates the Priyadarshini Park, Napean Sea Road, and offers the classes to visitor thrice a week. It said the order directed the forum to pay 'tax' for the period between 2005 and 2007. Advocate Prakash Shah, who represented the forum, contended that the classes are conducted in the park under the sky and is open to everyone. The demand would have been reasonable if any structure on the premises was being used, he argued. The court appeared to accept the forum's contention. A division bench of Justice SC Dharmadhikari and Justice Bharati Dangre observed that the demand was not justifiable. The court told the counsel appearing for the department: "The park is built because of the initiative of the people, the area which was reclaimed by the government was a rocky terrain, used for nefarious activities. Somebody brought it to its present condition." Calling it illegal, the forum has moved HC to set aside the tax order. "There is no membership for this activity, then how can there be a tax on it," said the bench on Tuesday as it adjourned the hearing to next week. The citizens' group adopted the Priyadarshini Park from the Brihanmumbai Municipal Corporation in 1987. The park is divided into two parts – a public garden and a sports complex comprising a running track and other facilities. The citizens’ group adopted the Priyadarshini Park from the Brihanmumbai Municipal Corporation in 1987. The park is divided into two parts – a public garden and a sports complex comprising a running track and other facilities.